We’ve covered a lot of applications for Linux, but we haven’t really touched upon the social media applications out there for this platform. 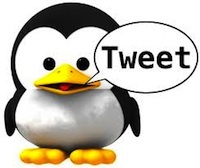 When the whole tweetmania started, there were only a handful of social media apps for Linux, and those too were mostly Adobe Air-based. However, quicker than expected, a large amount of social media applications started coming out for this often ignored platform. But, despite there being a myriad of such applications, we have chosen to cover only the best ones. 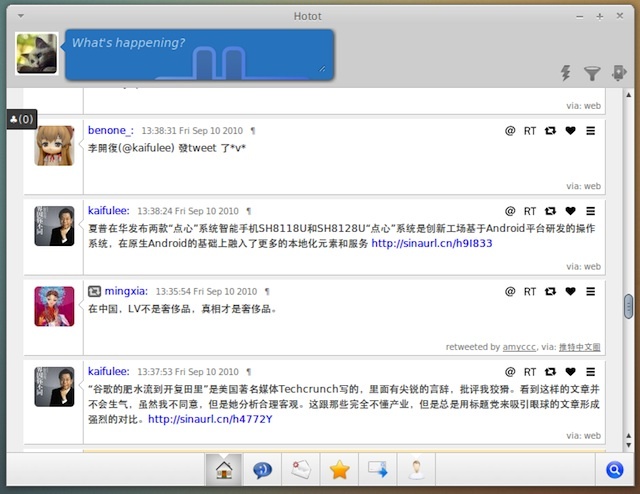 This is the default social media application as far as the Ubuntu desktop is concerned. Quite deservingly, this feature-loaded application has managed to gain quite a lot of popularity in the Linux community. The application is written by Ryan Paul who writes articles for Ars Technica, and is distributed under the GNU GPL license. The Python-powered application supports almost all the major social networks including Twitter, identi.ca, Facebook, Friendfeed and Digg. 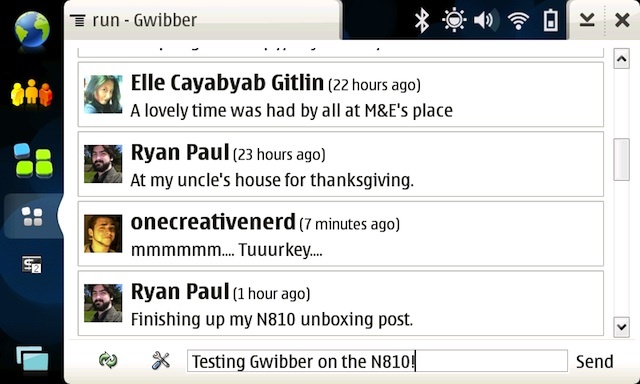 The upcoming version, which is Gwibber 3.0 will add even more features including Google Buzz support and Reddit. Being a default application, Gwibber is being actively developed and is constantly updated. If you're not using Ubuntu, you can get Gwibber by visiting the project's homepage HERE. If you use KDE4 and you haven’t heard of this app yet, then you must be living in a cave. Choqok is one of the most popular microblogging clients out there for Linux, to be more specific, for KDE4. It has all the features any modern social media application should have including support for translations, photo-uploading and lots more. 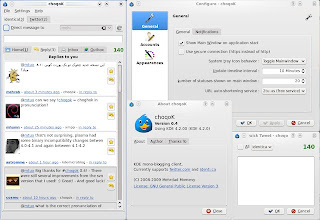 Choqok can be used for Twitter, Identi.ca, and self-hosted status.net networks, and it integrates perfectly with KDE 4 desktop. Considering how great this application is, it totally deserves to be included as a default social application in KDE4. To download Choqok please visit their homepage HERE. Hotot is the coolest new app in town. The application is so amazingly beautiful that you’d rather start believing in pink unicorns with glittering tails. Despite being a native application, its design is so polished that it might make an Apple snob jealous. And, even though Hotot is in beta, it has managed to gain quite a lot of fans already. One thing that makes the application so awesome is the amount of animations and reflections it has in the UI. For people who are used to the plain old GTK+ applications, Hotot may look like the Eiffel tower sitting in the middle of a desert. Despite being in beta, Hotot works perfectly for twitter and identi.ca. Moreover, it comes with all the features a twitter application should have. Meanwhile, Fedora users can download the application from HERE. For information on how to get Hotot on other distros, please visit this page. On a side note, the application is also available for Google Chrome browser and can be downloaded from the Chrome Webstore. 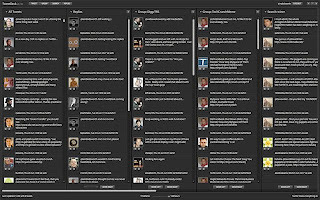 As far as desktop is concerned, Tweetdeck is undoubtedly the most popular social media client out there. Its familiar dark environment and distinct notifications style has fetched Tweetdeck quite a lot of fans on desktop and mobile platforms alike. 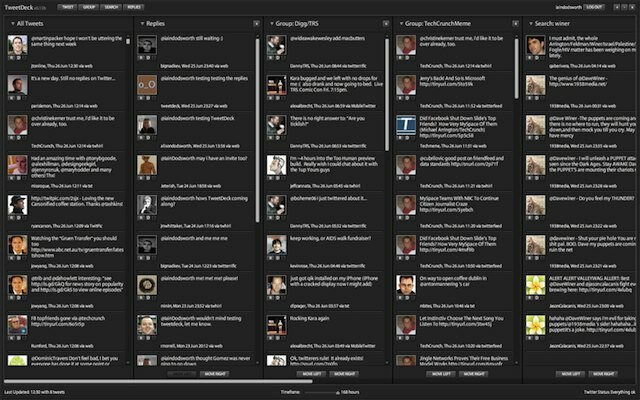 Tweetdeck, despite being hugely popular, doesn't have a native desktop application yet. However, the Adobe-AIR one works perfectly well on almost all Linux distributions. All you have to do is install Adobe-AIR on your desktop, and then grab the Tweetdeck application from their website. Tweetdeck supports many social networks including Twitter, Identi.ca(beta), Facebook and Google Buzz. 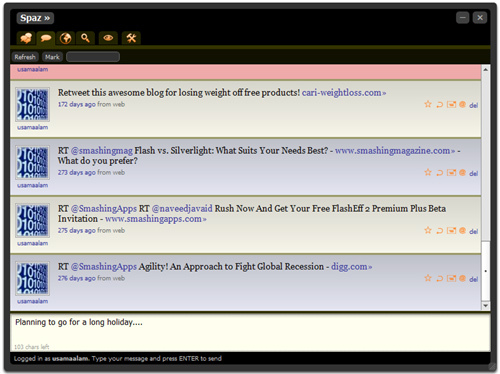 You can get Tweetdeck HERE.